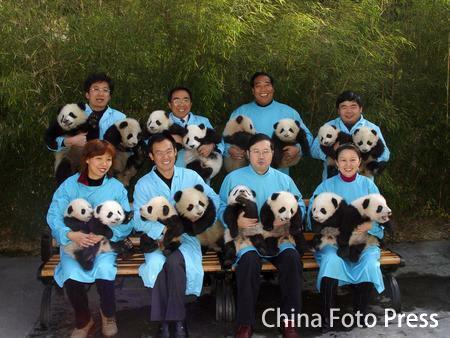 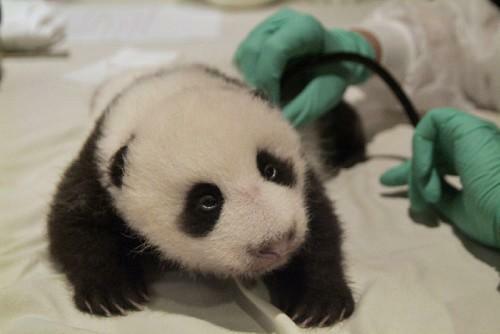 SICHUAN ,China -- One zoo in southwest China has its hands full with 16 baby pandas. 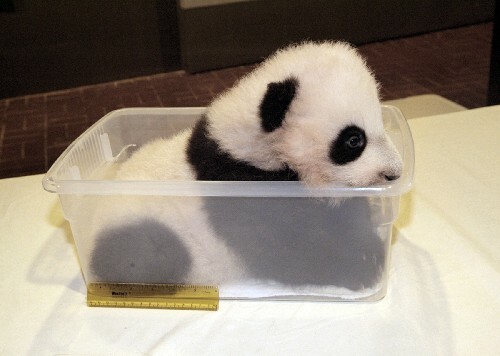 The heaviest tips the scale at just over 24 pounds, while the lightest weighs about 11 pounds. 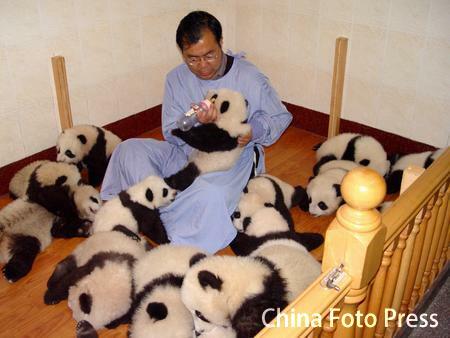 The pandas are due to stop suckling by February, 2007 just about the time they'll start learning to walk. 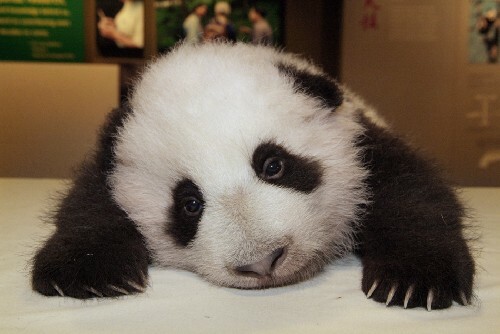 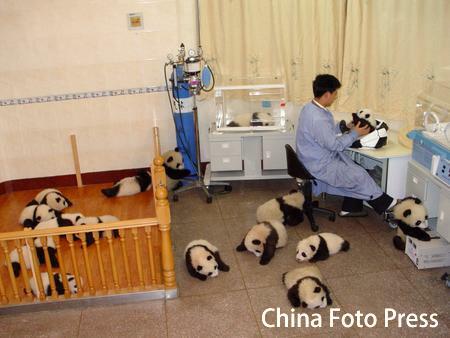 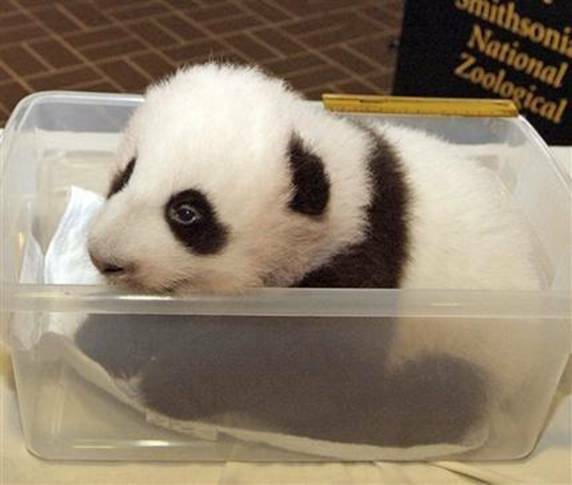 Once weaned, the panda cubs will attend panda kindergarten. 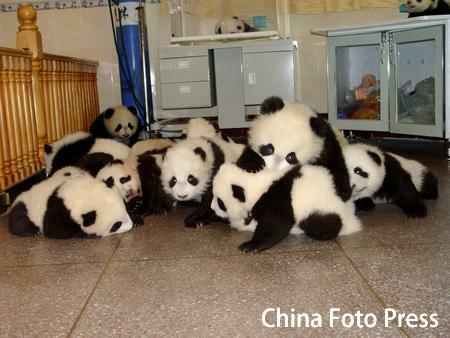 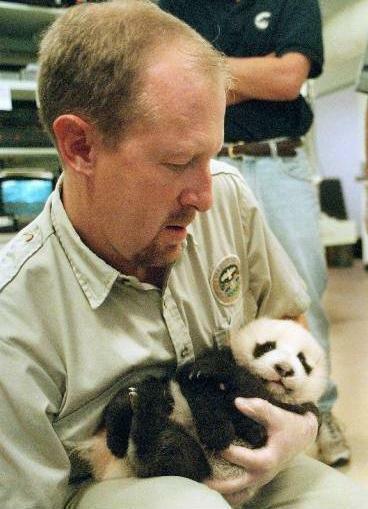 In the meantime, more little ones are expected at the center since 38 giant pandas were artificially impregnated.